Representative Avery Bourne (R-Raymond) stands in opposition to a bill making its way through the Illinois General Assembly. The legislation, HB1016, is an attempt by anti-gun groups to erode the 2nd Amendment by placing numerous regulations and high costs on gun retailers. This bill prohibits new gun store licensing within 500 feet of a school or daycare facility, effectively eliminating all possibility of opening a gun store in Chicago; prohibits people from purchasing or selling more than 8 firearms per year, total; and creates a video record of every sale that is made available to State and Federal authorities for inspection. Make it financially infeasible for your favorite gun shop to stay. 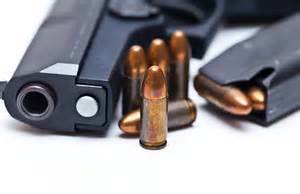 Make it financially infeasible for your favorite gun shop to stay in business at least $100 to $200 to the retail cost of the firearm and double the price paid for ammunition and firearm accessories. The 6thamendment to this bill failed in the Illinois House but the sponsor has now added another amendment and the deadline for the bill has been extended to June 30, 2016.